As a leader in any domain, you’ll come across disputes among the people you lead. It quickly becomes difficult to make educated judgments on which side of the argument may be right. No matter how much evidence is presented to you, you should fear labeling some things as true and others as false. You don’t have the all-knowing ability to understand absolute truths around you no matter how irrefutable the evidence presented seems to be. With this caution guiding your careful treading of arguments within your team, your most immediate goal should be to settle the dispute in question. A dispute unsettled is a dispute which carries the capacity to grow large. It can distract others from the immediate tasks that need to be done and can grow into being hurtful, violent, and unproductive. You’ll come across disputes that may seem unbelievably complicated to navigate. Issues such as gun-laws, stances on immigration, and geopolitical strategy have opposing sides willing to argue and present their evidence to no end. Being swayed to one side or the other must be a willful decision rather than one of being manipulated by loudest side. In these confusing realms therefore, it is imperative to seek common ground between opposing sides. There will be areas of agreement among the people behind each side of any dispute you witness. These people’s search for truth is similar in some ways and differs in other specific areas of their beliefs. If you figure out where two sides of an argument come together, you’ll be influential in leading the charge towards actionable next steps. When you find yourself amidst a heated, anger-filled dispute between others, you must remain as neutral to the situation as possible. You may have your personal views on the subject but you shouldn’t feel the need to voice these views. Keep them in your back pocket when making decisions on the matter later on. Your first priority however, should be to settle the argument presented in front of you. Heated arguments should be suppressed, and civil conversation should prevail above all. When listening to both sides of a dispute, ensure to listen for commonalities between the two. Even though the two sides of an argument may not yet know it, they may have similar ways of thinking about specific aspects of the disagreement at hand. It is important for you to realize these similarities and keep them in mind. These similarities will be the points which you use to take actionable steps towards a possible solution which both sides agree on. If you tackle disputes among others in an effort have one side completely agree with another, you’ll be disappointed. People are not good at admitting being wrong and fully accepting the views of another. In an effort to seek any sort of common ground between the two, you should start with small aspects of the argument that both agree with and build from there. 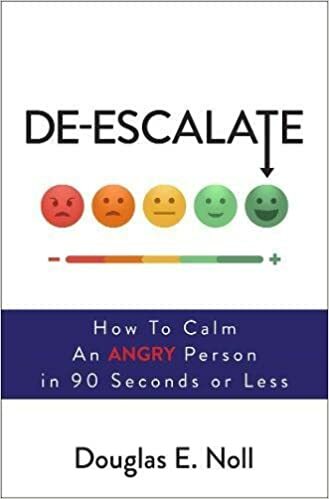 You should also try to listen for elements of fear present in the two sides of a heated dispute. Fear of the other side is a common incidence in heated disputes, and is generally driven by a lack of experience, understanding, and knowledge of the other side. The two sides of the gun debate for example, both have their fears. One side fears the destructive capabilities of guns, and the other fears the stifling of freedoms as they’re laid out in the respective U.S. amendments. Both of these sides can be helped in lowering their emotional responses by way of education and experience. Anti-gun activists can lower their inhibition towards all weapons by being exposed to, in a cordial manner, the gun culture. Whether that be real-life stories of how people got started shooting guns, or instances in which guns legitimately served their purpose in protecting families. Eliminating fear of the other involves showing the human element behind any stance in question. When this fear is eliminated, the argument becomes more understanding and less reactive. You will have more success unifying two sides of a heated dispute if you work to eliminate the fear they have of each other. Once you’ve listened to both sides of the argument with an unbiased frame of mind. It comes times to form the list of commonalities that you’ve heard. These commonalities are things you are hopeful that both sides agree on. For example, two coworkers arguing whether to hold a large stakeholder meeting, or to meet with stakeholders one by one, both agree that proper stakeholder communication is paramount. By voicing this one point of commonality and having both of them agree on it, you’ll establish their existence as one unit rather than separate sides of an argument. The second point of commonality in this example can be the fact that stakeholder time is important. One person can argue for one large meeting in which all issues are addressed, while another can say that meeting with them separately is a better use of time. No matter what their desire is surrounding the points of agreement, form a list of these agreements to be used to make an overall decision later on. It is difficult to say which coworkers approach is the right one in this specified instance. However, once you form a list of the things they both agree on, you may have a chance of getting them on the same page about a plan of action to tackle the issues they both agree on. The things that both sides to a dispute agree on can be used to pull them away from their initial, more extreme, stances and form one unified approach to solving the problem. These common agreements will serve to make them forget about the things they disagreed on. If however, you find that the two sides once again begin disagreeing on how to properly solve an issue that they both agree on, you must be tactical in your approach towards finding solutions. For the example above, even though both methods serve to remember the importance of your stakeholders’ time, the group approach may be more beneficial in getting all stakeholders on the same page. It will be less susceptible to the individual interpretation of each stakeholder and a group-wide understanding will prevail. Ask your coworkers whether this is something worth agreeing on: “Can we all agree that having our stakeholders in one room will help their understanding of the bigger picture rather than just the issues that pertain to them?” If the two sides agree to this sentiment, then you’ll have a clearer path towards a unified approach. Keep your eyes and ears peeled on possible things that the two sides can agree on. These agreements will serve to establish a unified approach built on the very agreements that both sides to a dispute share. They will be less likely to disapprove of an approach they’ve had a hand in shaping. Even though some of their proposed arguments get left out due to not being accepted by the other side, they will be content with the structured approach of following commonalities being taken. A priority high on your list should be finding points which the two groups in question actually agree on. These points of agreement aren’t always easily identifiable, as people can say the same things in different ways. Sometimes they insinuate agreement with the opposite side without saying it outright, and sometimes they don’t know with what they agree themselves. The little agreements are the common enemies of both sides to heated arguments. They are issues which both sides agree on tackling and are actionable at once. They are effective in getting the ball rolling and analyzing where things stand further down the line. An environmentalist and the head of an oil drilling project may disagree on strategy surrounding the drilling for oil. The points that environmentalists preach mostly have to do with scientific data backing the existence of global warming. However, they may also hint on the fact that current drilling methods are inefficient in process, outside of being harmful to the environment. The chances that a strategy surrounding the drilling of oil will change based on environment-conscious protests are low. Agreeing with those claims is a losing situation for the drilling corporation in question. In this instance, you should recognize that the drilling executives are more privy to entertain the thought of their processes being inefficient. Should you clearly connect your information to their bottom line, they will listen. In the instance above, the inefficiency of drilling operations may be a common enemy two sides with opposing views can share. Once you identify the common enemy in question, begin steering conversation its way. Action is a necessity for issue mitigation. Steer the conversation toward action by focusing on how to defeat these common enemies. Begin working as a team with two previously opposing sides, and perhaps they may continue to develop understanding in doing so. The act of finding common enemies, presenting them, then focusing on defeating them will serve to distract any two sides opposed. It will serve to distract attention from the battle they both fight, and any disagreements that they have. The act of distracting them from their most sensitive points serves to lower guards.Even if you lower the guard of one individual, the effect can spread. Once one individual transfers their focus from defending points to one of defeating common enemies, others will follow. Common enemies do a good job in propelling stagnant points of disagreement into some sort of mutually beneficial action. The concept depends on two sides agreeing in certain areas of their otherwise opposing stance. Your job is to find those points of mutual agreement. Finding common enemies will serve to break the ice of working as a team. People will be massaged into being understanding of the other’s perspective. They will further discover how those who disagree with them think. Since opposing sides are often focused on attacking the arguments of the other. A simple diversion of their focus can establish a good point to commence with action rather continue with verbal disagreement. That diversion should consist of things both groups agree on and care enough about to take shared action against.